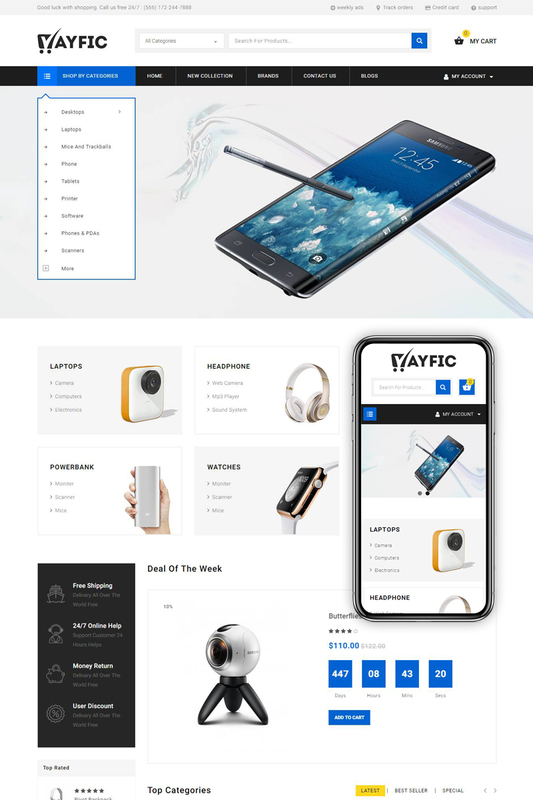 Ayfic Theme is an advanced opencart 3 theme with fully customizable features and suitable for e-commerce websites of any multipurpose and electronics shop. Ayfic theme package included One Click(Quick Start) to get a replication of our theme demo site on your website with same data, theme settings & layouts. Ayfic theme is flexible and can adapt multiple shopping cart websites. Ayfic theme is suitable for selling all things such as : electronics, mobile, digital, drug, medical, fashion and Multipurpose stores.